A task force is recommending the creation of sites in King County to provide medical supervision for people using illegal drugs like heroin, which would be the first in the U.S. The task force formed to help fight a heroin epidemic in the Seattle area has recommended the opening of public, supervised sites where addicts can use heroin. 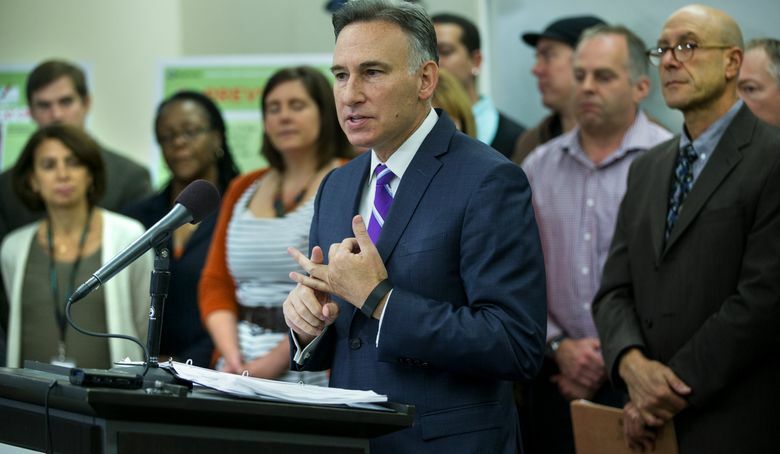 The sites, supported by both King County Executive Dow Constantine and Seattle Mayor Ed Murray, would be the first of their kind in the country. “If it’s a strategy that saves lives … then regardless of the political discomfort I think it is something we have to move forward,” Constantine said during a Thursday news conference. Murray said he would support establishing the sites if it can be done “in a way that reduces the negative impacts” on neighborhoods. The recommendations released Thursday call for a pilot program to establish two “community health-engagement locations” in targeted areas where users can inject heroin under medical supervision as an alternative to public restrooms, alleys and homeless encampments like The Jungle. 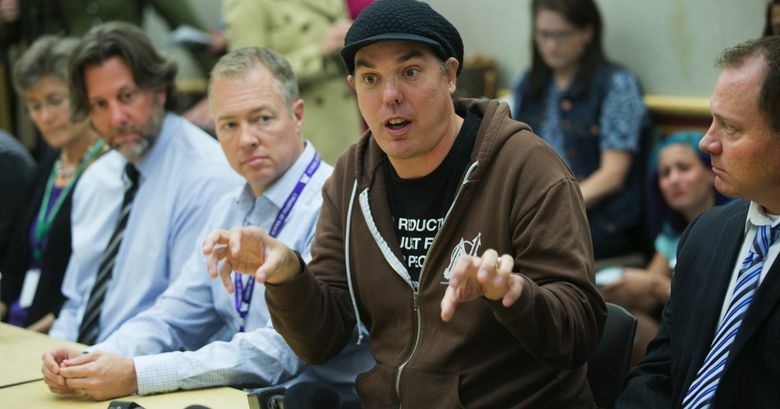 The committee called for putting one site in Seattle, and another outside the city in an area where a high number of heroin overdoses have been recorded. “One of the driving ideas behind this is creating a safe space where we can get people the medical, prevention and treatment services already provided elsewhere,” said Brad Finegood, committee co-chairman and assistant director of the King County Behavioral Health and Recovery Division. The move was expected by the task force formed earlier this year. 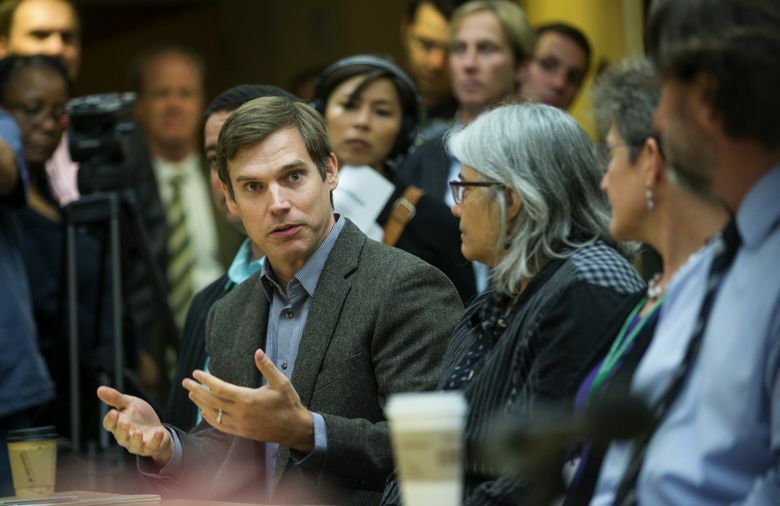 The 32-member task force includes health and treatment providers, law enforcement, social-service agencies, cities and the University of Washington. The panel’s recommendations also call for expanding existing drug-treatment and prevention programs, increasing access to the overdose-prevention drug Naloxone, and undoing state laws that cap the number of patients that can be treated at methadone clinics. Funding for the recommendations hasn’t been secured. The release follows reports of a countywide drop in heroin-related deaths. Overdose deaths connected to heroin use fell by 15 percent in King County last year, but county health officials stress that heroin abuse remains a significant problem. Heroin was involved in 132 deaths in the county in 2015, down from a peak 156 deaths in 2014. But that’s higher than the 99 heroin deaths in 2013. Proponents say the supervised-consumption sites could reduce overdose deaths and the number of used needles that litter sidewalks and alleys, as well as decrease the costly use of the emergency-medical services for addicts in need. If approved by city and county authorities, the sites would be the first of their kind in the United States. Similar facilities have operated in Vancouver, B.C., for the past 13 years and have yet to record an overdose death within their clinics. The potential locations for the sites are also expected to be debated as county and city officials struggle to develop strategies for managing the homeless encampments where use of heroin and other drugs is commonplace. “There’s is no doubt about it that the only way to make this effective is to locate it near where people are using,” Finegood said. Renton Mayor Denis Law demurred when asked Thursday whether he would support a site in his city. He said he was generally in favor of the committee’s recommended strategies but would need more details about how the sites will work. Auburn Mayor Nancy Bakus echoed the sentiment. County Health Officer Dr. Jeff Duchin, also committee co-chairman, acknowledged there are legal and monetary obstacles to opening the sites. “I think it’s worth remembering that at one time needle exchanges faced similar challenges, and in the years since we’ve found that they work not only from a public-health standpoint but as cost-savings for law enforcement and others,” Duchin said. Thea Oliphant-Wells, an advocate and former heroin user, urged the public to consider the sites.